Ubisoft asks if we're ready for Far Cry 5, and the first response is... "Maybe." 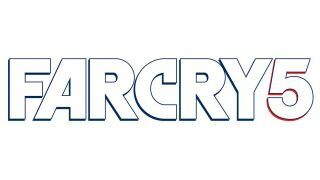 Far Cry 5 has been announced, and even without any details to go on - seriously, nothing is known about this other than the title - Ubisoft clearly would like fans to be excited. Both on the Ubisoft forums and Twitter, the company is asking fans, "Are you ready for a hefty dose of new Far Cry adventures?" The responses, however, are not exactly unanimous in their levels of excitement. On the Ubisoft forums, the first response is "Maybe." The second response is "Depends." Then we get to the expected "yeeeeeeeaaaahhhhhh" response. Over on Twitter, fans are likewise split, with some saying the games have felt too copy-paste and others arguing that the series peaked with Far Cry 3. It's all very interesting to watch. Whatever it's about and wherever it's set, Far Cry 5 is set to be released sometime before April 2018.